What the term “asbestos” refers to is a set of six fibrous minerals that are naturally occurring, those are crocidolite, anthophyllite, actinolite, chrysotile, amosite, and tremolite. Among these, the most common are chrysotile and amosite asbestos. Any material that contains more than one percent of asbestos is defined as Asbestos Containing Material (ACM). This can include insulation on pipework and boilers, fireproofing that has been sprayed or troweled on, sound proofing material such as acoustic plaster, floor, ceiling and wall tiles and linoleum, roofing materials, ceiling plaster, fuse box insulation and gasket materials. Although in nature asbestos fibers are microscopic, they are resistant to fire and most chemical breakdown and reactions and they are extremely durable. These properties that asbestos offers are the reasons which for many years its use was supported in a number of different industrial and commercial capacities. 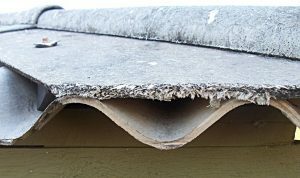 The resistance to heat of asbestos combined with its strength allowed it to become the choice material for various products, including cement compounds, automotive parts, roofing shingles, ceiling materials, and textile products. As exposure to this toxic material has now been scientifically and directly linked to a variety of respiratory and lung conditions such as mesothelioma, its use and removal is now strictly regulated. There was a sharp decline in the use of asbestos in the late 1970s when it started to become evident that it was posing a threat to the health and safety of humans. Nowadays, asbestos has been classified as a known human carcinogen. The durability factor of asbestos which made it so desirable to manufacturers is in fact what makes it so extremely hazardous. Asbestos fibers are roughly around .02 the diameter of a human hair, they are microscopic and as such they are inhaled easily. Once the fibers have been inhaled, they cling to the respiratory system; this includes the inner cavity tissue and the lining of the lungs. Being as typically, asbestos fibers are quite rigid; they become lodged in the respiratory system and are not easily broken down by the body or expelled. In some capacity, due to the extensive use of the mineral in industrial, commercial and even domestic products, hundreds and thousands of people were exposed to it. There is not a single type of asbestos that is safe nor is there a safe level of exposure. Nearly everyone who has ever been exposed to asbestos is potentially at risk of respiratory health complications that are quite serious. Who Is At Risk Of Being Exposed to Asbestos? There are hundreds of occupations that were affected by asbestos exposure. Some of the industries in which asbestos was especially prevalent include but are not limited to commercial product manufacturing, construction, shipbuilding, and power plants. Prior to 1980, workers employed in these industries likely came into contact with asbestos products. Also at high risk for having been exposed to asbestos are military veterans. Although exposure to asbestos is hazardous, not every asbestos product is inherently hazardous. Being as in order to represent health risk asbestos must be inhaled, a true hazard is represented only by asbestos found in the air supply, a condition that is known as friable, or loose asbestos fibers. Stable asbestos compounds, such as tiles, intact cement, or other products, generally are not an immediate hazard. If you believe that you have been exposed to asbestos in some way or another, it is important to report it and seek immediate medical evaluation.